Sweet and moist orange cake topped with tangy leftover cranberry sauce, this Orange Cranberry Upside Down Cake makes an easy dessert when entertaining over the holidays. 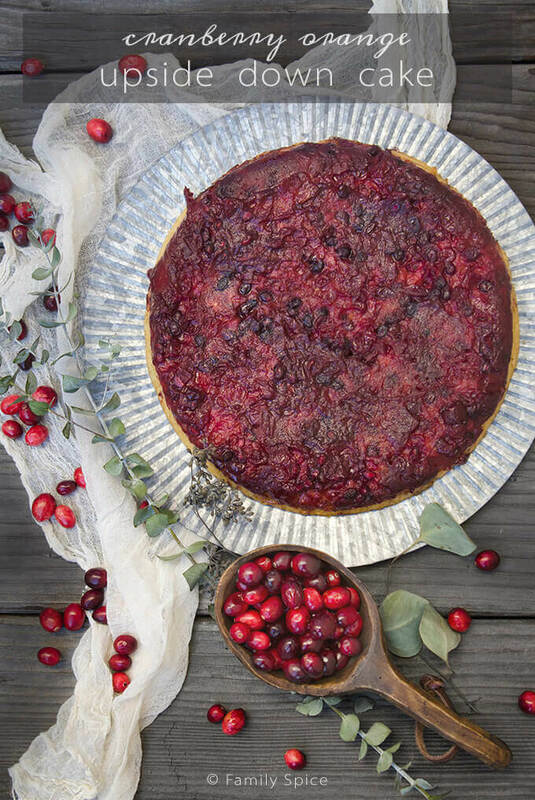 Did you know that leftover cranberry sauce will keep in the refrigerator for up to two weeks? 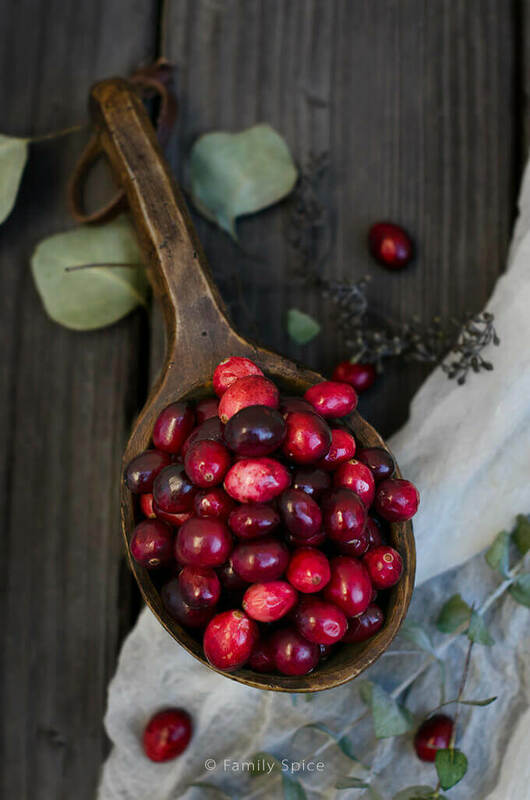 This is because cranberries are highly acidic, which discourages bacteria growth. So odds are, you have some cranberry sauce leftover from Thanksgiving in your refrigerator right now. And you can still eat it. I’m sure you’ve had your fill of leftover turkey sandwiches. Or perhaps you made turkey noodle soup? Turkey quesadillas? You have plenty of ideas of what to do with leftover turkey, but what should you do with the leftover cranberry sauce? 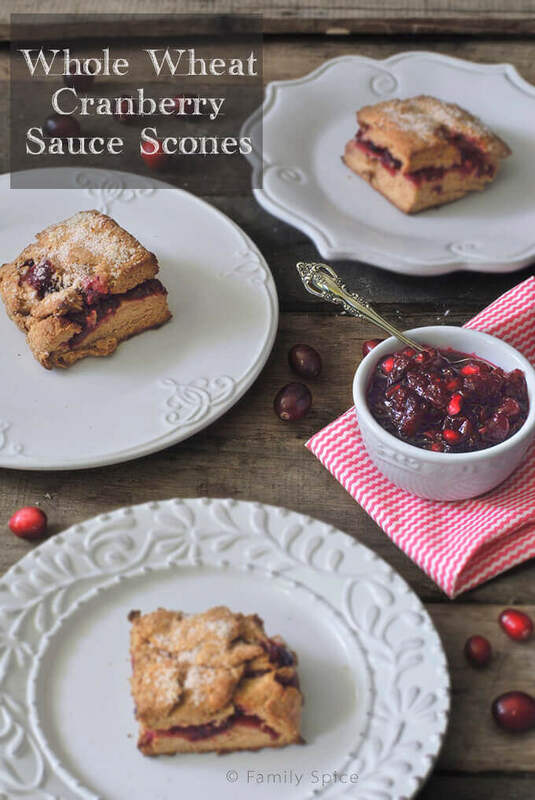 I have already shared my Leftover Cranberry Sauce Scones – oh so delicious. And today I am sharing another delight. Two classic flavor combinations, orange and cranberry, come together in this very moist Orange Cranberry Upside Down Cake. 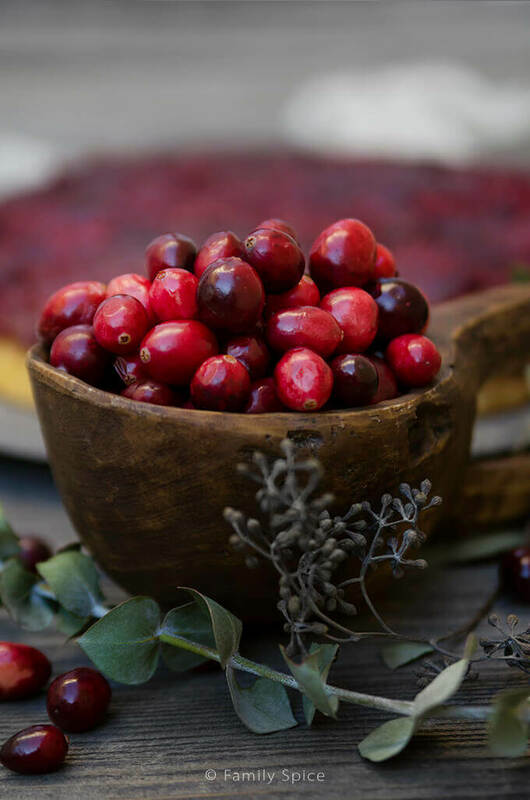 Cranberries are so colorful and festive for this time of the year. Pumpkins shines in August and September, while cranberries reign in November and December. I have four bags of cranberries sitting in my fridge right now. For this Orange Cranberry Upside Down Cake, I broke out my trusty cast iron pan. It’s seasoned and ready to use in my kitchen or outdoors over a campfire. Cast iron retains the heat evenly, so your baked goods turn out perfect. And for upside down cakes, the fruit caramelizes beautifully in cast iron. I used it for my pineapple and my valencia orange upside down cake. Because I don’t like using too much sugar in my baking and cooking, my cranberry sauces tend to be both sweet and sour. For this particular cake, I used leftover Pomegranate Cranberry Sauce. 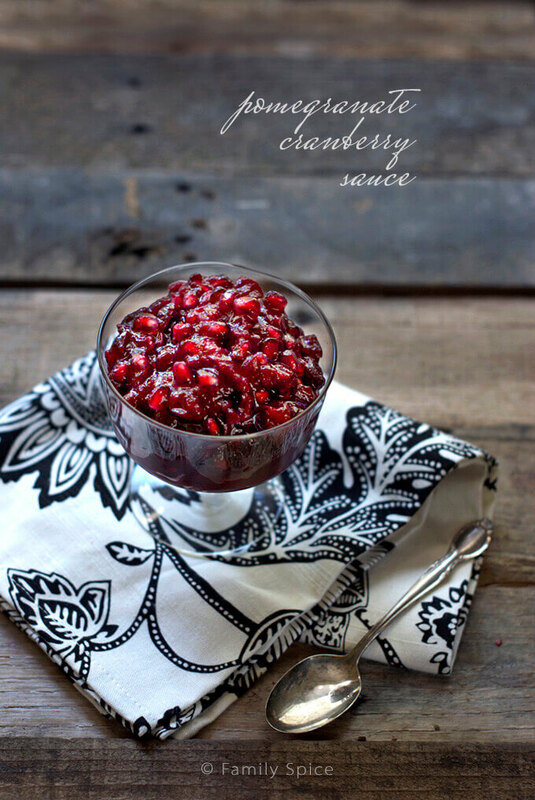 It’s my family’s favorite of all the cranberry sauces I have concocted over the years! This year, I mixed some oranges into it, as well. So you can see, any cranberry sauce you have on hand will work in this recipe. So if your refrigerator isn’t stocked with cranberries, what are you waiting for??!! Cook until sugar has dissolved into the butter and starts to melt, then remove from heat. Spread sugar mixture evenly across the bottom of the pan. Pour cake batter evenly over the cranberry sauce in your cast iron pan. Place cake in the oven and cook for 30 minutes, or until a toothpick inserted into the center of the cake comes out clean. Allow cake to cool for 10 minutes in the pan. Place serving plate over the cast iron skillet and carefully invert the cake. Keep the skillet on the plate until the cake falls into the plate. Remove skillet and allow cake to cool to room temperature, about 30 more minutes before serving. Cooking Tips: Thick Greek yogurt, like the Fage brand, is used in this recipe. If you do can not find thick yogurt, drain your regular yogurt with a cheese cloth or coffee filter until it becomes thick like sour cream.